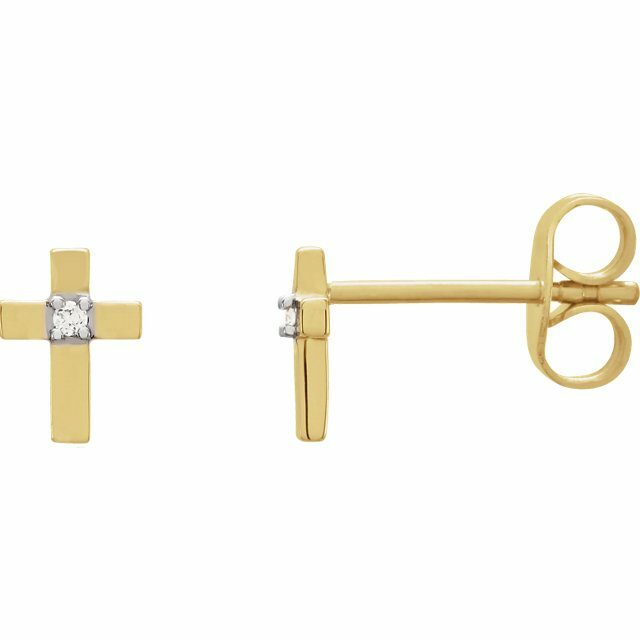 Set in 14K White and Yellow Gold, these 2 Tone Diamond Cross Earrings each have a 2mm I1, GH color diamond just to give the cross a little sparkle. If you want them all in one color, that is fine as well. These measure about a half inch tall, but could be made larger or smaller. The listed Price is for 2 Tone Diamond Cross Earrings in white & yellow 14K Gold. Contact us for other pricing options.